I am a certified primary-junior (Kindergarten to Grade 6) teacher with additional qualifications in Kindergarten and Special Education (you can see my Ontario College of Teachers profile here). Equipping children with early financial literacy skills is an important step toward ensuring their future well-being and prosperity (Government of Canada, 2018). However, according to the results of 2018 provincial standardized testing, only 61% of third graders and 49% of sixth graders are at or above the provincial standard in mathematics--an important early building block for financial literacy. 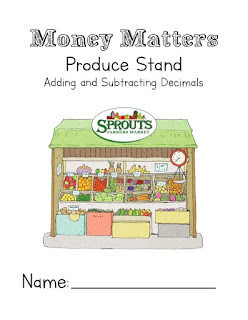 In the "Money Matters" series (which can be completed individually on paper or collaboratively on a SMART Board®), third grade students practice their math skills and financial decision-making in practical, day-to-day scenarios, such as grocery shopping, attending a book fair, purchasing gifts, and going to the movies. According to Harris (2007), a curriculum that is rich with connections to the arts “can provide a vehicle for creative problem solving and motivation” (p.1). Integrating the arts across subjects allows children to explore academic challenges in a new way. "Graph the Beat" was designed for fifth grade students and is intended to support both the mathematics unit on graphing and the music unit on rhythm and beat. This interactive module can be completed collaboratively on a SMART Board® or independently on class tablets.